Hello Tributes! Some really cool people are working on a Mockingjay short that looks amazing so far! Our Mockingjay short film will show Katniss' life as the symbol of District 13's rebellion juxtaposed with glimpses of the extravagant lifestyles in the Capitol. 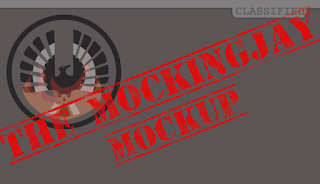 We aim to create a short film stylistically reminiscent of District 9 that provides a gritty, more realistic depiction of war, while at the same time staying true to the characters, relationships and events in Mockingjay. We LOVE the official movies, but we want to realize our own vision of Suzanne Collins' universe because we're die-hard fans of the books! 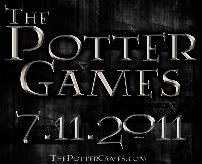 This is a fan film and is not affiliated with Lionsgate or Suzanne Collins. We have a professional, experienced cast and crew on board who are all willing to work completely for free. No one is making any money off this. Funds raised will go towards renting camera [they are going to rent the Red Epic camera - the same ones used to shoot The Hobbit!!!] and lighting equipment, buying costumes/props and providing food for the cast and crew (oh, the irony). Check out the film's Kickstarter page to read more about it and/or back this project! They only have 15 days left to reach their goal! Subscribe to KristensReality or follow Kristen on twitter to stay updated & find out where you can see the final film! Josh Horowitz takes Sam Claflin: Master of Fear on a tour of the MTV Newsroom. He is not scared of anything, really, he's just English. Are you maybe a master of fear too? 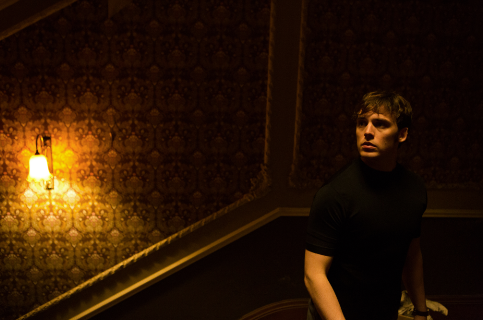 You might want to check out The Quiet Ones, out this Friday, April 25! 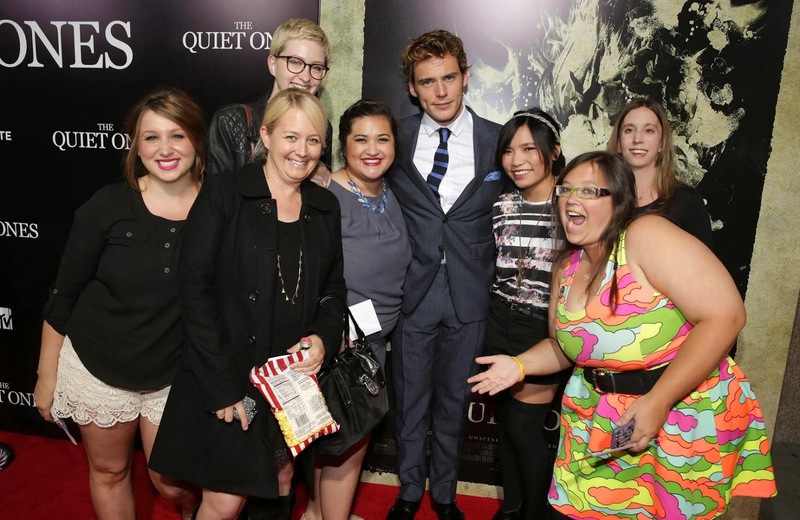 Last night we attended the L.A. premiere of The Quiet Ones and got to chat briefly with Sam Claflin aka The Claf! Pictured above, the meet and greet with Finnick himself with our fansite friends from HGGirlOnFire and Mockingjay.net! Sam was amusing and charming as always, and of course very excited for fans to see Mockingjay Part 1. I asked him if he minded being called The Claf since we've been calling him that for some random reason, to which he said he didn't mind and that he wasn't sure if it was a good or a bad thing as he was called "Claf" in high school. Well kids, *THE MORE YOU KNOW*. We also spotted Stef Dawson on the red carpet, who of course plays Annie in the Mockingjay films. She's the red head in the background. You know, didn't want to be too creepy taking that photo. As it turns out, the fansites all got to chat with her for awhile during the after party. She is super nice, funny, and easy to talk to! She also mentioned that she is anxious to tell people all the hilarious stories that have come out of the Mockingjay film set. Super fun night! 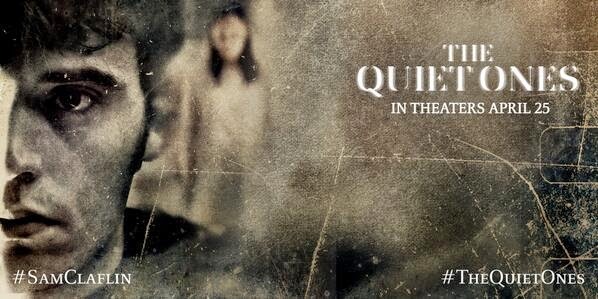 Make sure you guys check out The Quiet Ones this Friday, you know, if you're into the whole scary movie thing. Mockingjay Has Wrapped Fliming in Atlanta! As confirmed by a tweet from producer Nina Jacobson, Mockingjay is officially done filming in Atlanta! The cast and crew are now probably heading to Europe (Berlin maybe???) to finish filming! Filming is ALMOST OVER, you guys! What scenes do you think they're still yet to film? Oh, hey there! I know you guys are pretty busy dragging yourself around this hot, dry, desert abyss that is this MISERABLE MOCKINGJAY drought we are having, but CHEER UP! 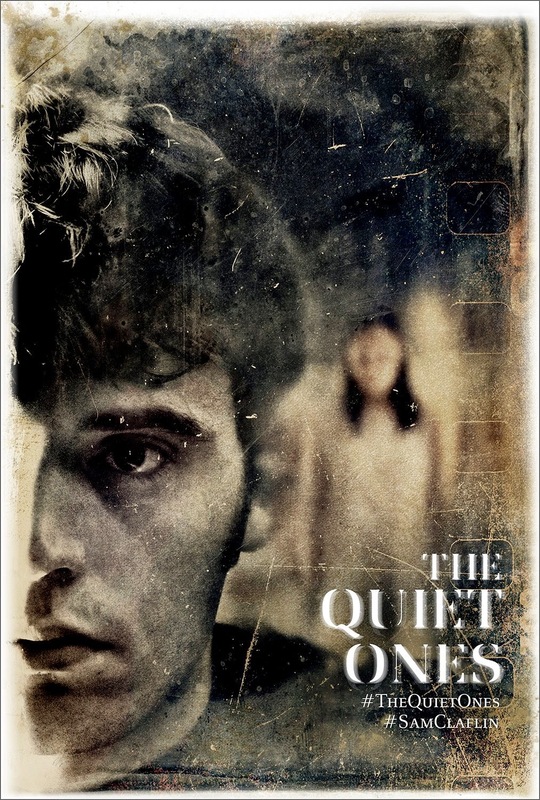 Summer is approaching and so is MJ marketing, but while you wait y'all should enjoy what Lionsgate is offering April 25th: The Quiet Ones. It stars the lovely Sam Claflin and........and.........YEA! 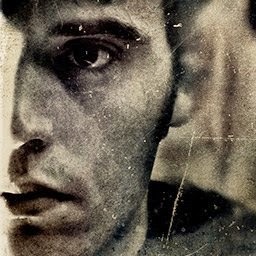 SAM CLAFLIN! HE'S SCARED! PROBABLY! That's really the only reason you need to go and see this movie. Horror is a genre that transcends awfulness, so it doesn't even matter if this film is good or not, you're gonna have an awesome time. Plus, Sam Claflin. I mean, do you have something better to do? Oh sorry, did I interrupt your mindlessly scrolling tumblr searching for MJ news? Just give up, man. It'll come out when it's ready. Oh, did I mention it stars The Claf? 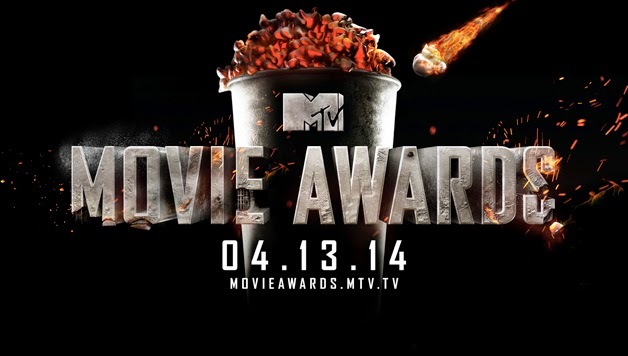 The Hunger Games: Catching Fire took home the big three awards during last night's MTV Movie Awards! CONFIRMED: Mockingjay will be filming in Berlin! Check Out the Casting Call! Some 1,000 extras are now required according to Berlin-based agency “movie faces” for an international movie that in early summer, among others in the Babelsberg film studios in Potsdam is rotated. Applicants must calm “lived” have faces, as the agency announced. 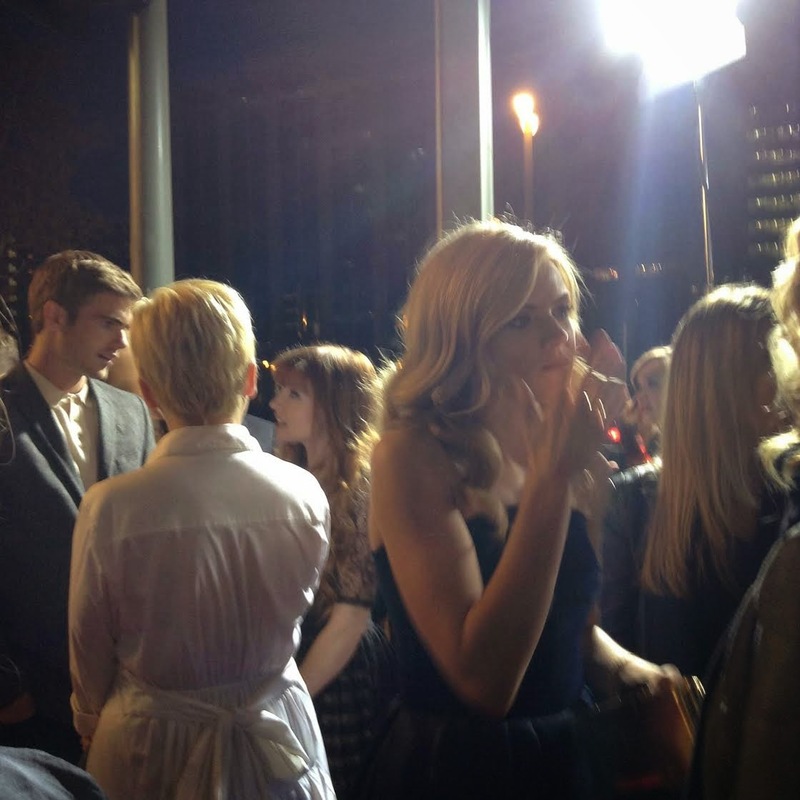 Already at the Germany premiere of the second part “Hunger Games – Catching Fire” Lawrence had announced last November, to be back in Berlin. In a nutshell it is ready. Part three and four are rotated at different locations – including in Berlin-Brandenburg. In the Studio Babelsberg first preparations are under way. Studio spokesman Eike Wolf wanted this for “confidentiality reasons” but did not confirm. The casting for the extras plans “movie faces” for 26 April in Berlin in Delphi Film Theatre . Who is taken must expect one to three days of shooting. You can read the original German article HERE! Christie will replace Lily Rabe in the role of Commander Lyme. 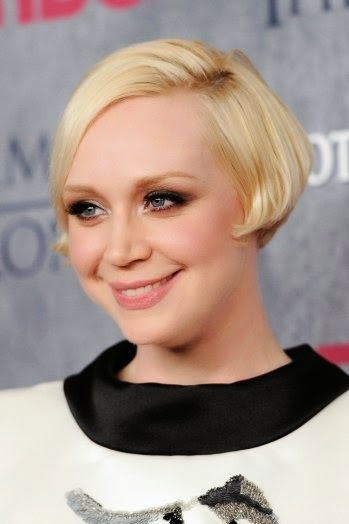 Gwendoline Christie, who plays the tough warrior Brienne of Tarth on HBO's Game of Thrones, has nabbed another military leader role. The actress will play Commander Lyme in Lionsgate's The Hunger Games: Mockingjay -- Part 2. She's replacing Lily Rabe, who was originally cast in the role. Rabe had to drop out due to a scheduling conflict with a previous commitment to Much Ado About Nothing at Shakespeare in the Park. Lyme is one of the leaders of District 13, the district in the futuristic Panem that is rebelling against the government. She hails from District 2 is a past victor of an unknown Hunger Games. As big Game of Thrones fans, we are SO stoked about this! What do you guys think?